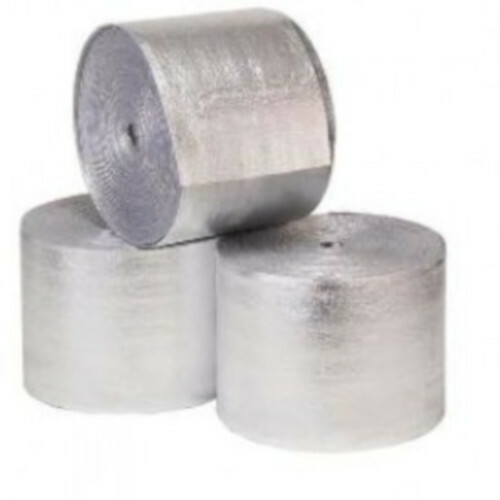 Reflective Foil Insulation Low-E (30m²). Low-E Reflective Foil Insulation is a revolutionary product used in all areas of construction from residential homes, commercial properties right to industrial buildings. It greatly contributes to reducing carbon dioxide emission of your house while saving energy and more importantly money. 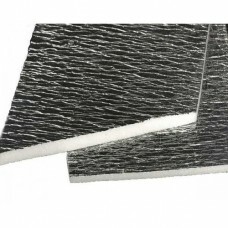 Low-E is produced from non-toxic polyethylene foam, laminated between two surfaces of pure aluminium facings. Low-E Insulation is safe and easy to handle, substantially reduces time of installation and produces minimum waste. It can be installed along with a secondary insulation for grater R-Values keeping the house comfortable while saving energy and money. Reflects up to 97% radiant energy. This product is listed in the following categories and systems (click to show). This product is listed in the following categories and systems (click to hide). Always tape Low-E when surfaces are clean and dry. Low-E should be taped at junctions with walls, windows and doors.When joining or replacing sections of Low-E, Low-E Seam Tape should always be used. All seams that are exposed to conditioned spaces must be taped with Low-E Seam Tape. Use a.. Always tape Low-E when surfaces are clean and dry. Low-E should be taped at junctions with walls, windows and doors.When joining or replacing sections of Low-E, Low-E Seam Tape should always be used.All seams that are exposed to conditioned spaces must be taped with Low-E Seam Tape.Use a utility kni..